Engineers from MIT and Singapore University of Technology and Design (SUTD) have created heat-sensitive memory materials using light to build patterns on successive layers of resin. The polymer mix used by the team is rigid at room temperature, but rubbery and pliable when heated above a certain point (40-180 degrees Celsius). This means it can be printed in a particular shape, ‘frozen’ in a different shape at room temperature, then reactivated into the printed shape through heating. Potential applications include actuators for solar panels, and drug delivery devices that open when infection is detected. 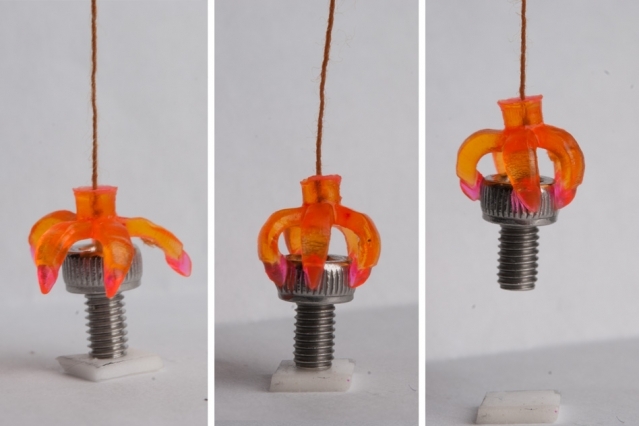 Conventional 3D printing is commonly used to make custom designs of memory materials. However, this technique only allows the user to create designs with details no finer than a few millimetres. For the more intricate designs that they required, the MIT and SUTD team pioneered a new method called microstereolithography, where they used light from a projector to print patterns on successive layers of resin. 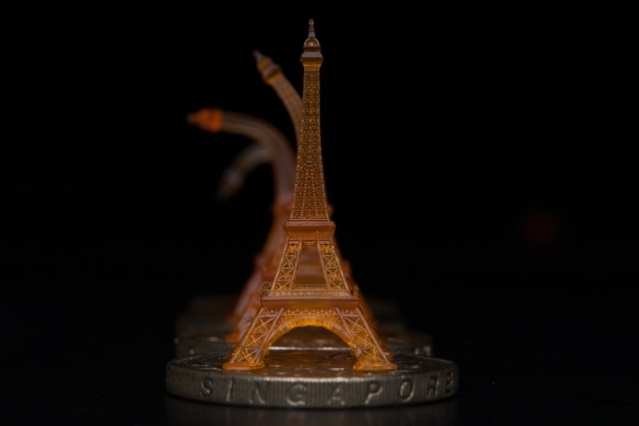 The team printed a variety of structures, including coils, flowers, and a miniature Eiffel Tower. They found the structures could be stretched to three times their length without breaking, and snapped back to their original shapes within seconds when exposed to heat in the range of 40 C to 180 C. The team also produced a small, rubbery, claw-like gripper, which when exposed to heat could clasp around objects to pick them up.